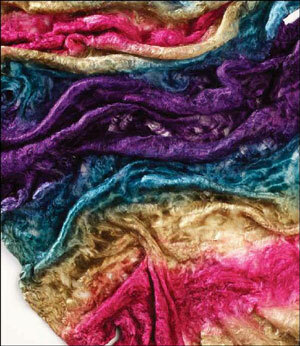 Did you know that Interweave, that power house publisher for all things fiber, has hundreds of free books? Yes, hundreds. Interweave calls them ebooks and they are all available for individual download. In truth they are pdf files so there is no need for any special apps to read these. These “books” cover knitting, crochet, handspinning as well as all the other topics that Interweave publishes a magazine for including sewing, quilting, paper crafts, weaving, drawing, etc. A private note to a very special reader who reached out to me: Pssssst! Okay, so this is the post that has a nice sock pattern for beginning sock knitters. Let’s see if your mom can be talked into this one and abandons the idea of you (and her right?) making Skew as your very first sock ever. I’m not guaranteeing success here because the Good Lord knows I have a terrible time talking my own mother out of anything. Actually now that I consider it, I’ve never talked my mom out of anything, ever. Perhaps I’m not the best partner you could have chosen for this sneaky maneuvering. But… I promised you I’d try and I will. Skew is a fun pattern but I’m pretty sure trying it as your first sock has a 74% chance of you giving up on it, a 51% chance of you never trying another sock again, and a 17% chance of you randomly stabbing some inoffensive person with a knitting needle out of sheer frustration. So let’s see if your mom will go for this one instead. 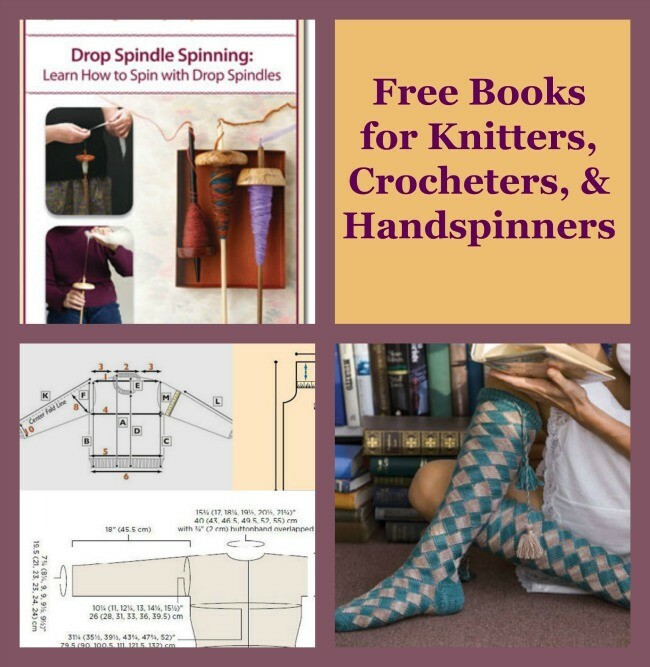 Interweave has 43 free books for knitters and you can find them all right here. They cover a HUGE range of topics including brioche, infinity scarfs, baby stuff, patterns that combine knitting and crochet, and more. These books are a nice mix of how-to guides and re-prints of some of their more popular patterns. More than once I’ve found a pattern that I was ready to buy (or already did buy) re-printed in these books. So here is a collection of seven sock patterns, three of which are designed by that master of knitting Ann Budd. And oh hey look! One of those Ann Budd patterns is the On-Your-Toes-Sock, a basic, no-frills toe up sock pattern. Gee, that would be perfect for someone who wants to try making a toe-up sock pattern for the very first time. Entrelac knitting isn’t the most popular style. It makes a beautiful fabric but it can be a bit fussy. If, however, you ever want to give it a try (I love entrelac) this will be a good resource. The book starts with some basic, generalized instructions for entrelac written but Eunny Jang and they are some of the best entrelac instructions I’ve ever read. Also you get the pattern for these amazing entrelac socks, designed by Eunny Jang. psst! Don’t let your mom see these. If your making garments, you have to know how to measure the human body. 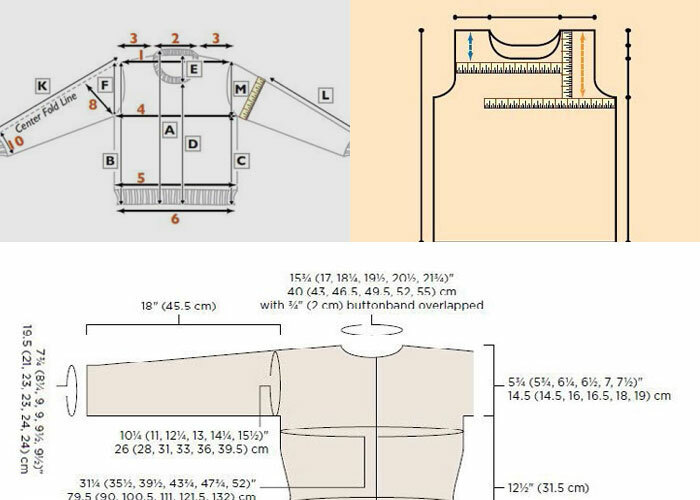 Even slight miscalculations or a crooked measuring tape can make a difference in how your sweater fits. This isn’t a fun or easy read, but if you want to get your measurements right, its worth the effort. I like this collection because it has the “basic” sweaters. Every pattern library should include a basic tee, an A-line cardigan, and so forth. Just, ahhh, don’t do all the horizontal striping. I don’t know a single woman that looks good with all that going on across her chest. Looking for a challenge? Maybe you just want to brush up on your technique with these advanced stitches. They don’t get a lot of use but they can be quite pretty and showy. Besides, who doesn’t want another how-to stitch guide, especially a free one? Nobody, that’s who. This how-to guide might even have a few you’ve never tried like linked double crochet, Solomon’s Knot, and Hairpin Lace. 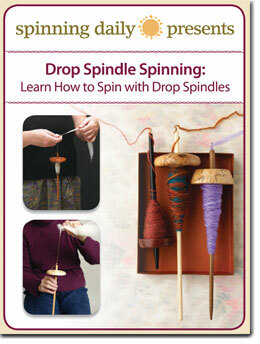 This free book will tell you how to make a drop spindle of your own, or how to choose a good one to buy. It will get you stared with worsted and woolen style spinning. Finally it will show you how to ply. That’s everything you need to get you started! There is also a series of titles on how to spin different types of fiber. The quality and level of detail varies but they are all worth a look. 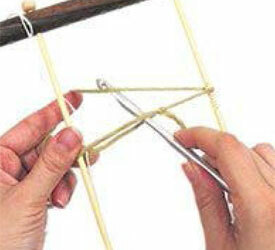 Beginners can start with Spinning Wool, while more advanced spinners will like Spinning Silk, and Spinning Cotton. There is bound to be something you like in all that. And if you want to wander off the reservation, the Interweave free book collection covers more topics than just these three. Start here and remember to come up for air and coffee every few hours. Enjoy! 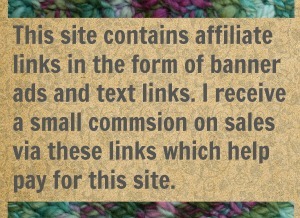 8 Comments on "Free Books From Interweave"
Those are really stunning socks. Not at all practical with that tassel thing thing to hold them up but oh so pretty! Thanks for all the great information!! Thanks Interweave! Thank you so much for the great info. For some reason I have never visited their site. Those are the kind you sign in and before you realize it half the day is gone. Oh well (sigh) we do what we have to do. I hear you. 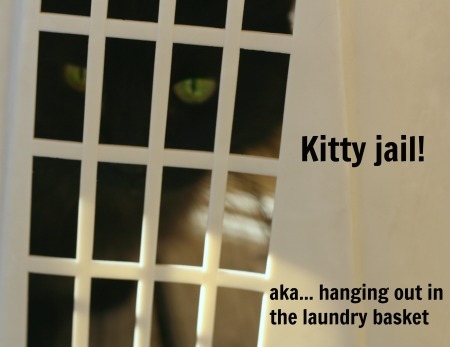 I knew that when I wrote this post I knew it would result in responsibilities being shirked and chores not getting done. I recklessly posted anyway!